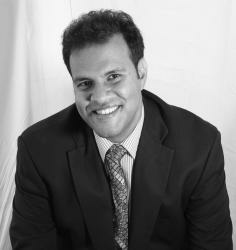 If you are going to succeed in online marketing, you have to have them. On our blog, we talk a lot about how to optimize your landing pages for higher conversion rates, so we won't go into that in detail today. But we will discuss landing page traffic and a key tool you can use to drive targeted, eager-to-buy traffic to your landing pages. Even though traffic without conversions is of little or no use to you, the truth is you do need traffic. SEO is one way - typically a longer-term strategy – to boost it. Another traffic-boosting tool that can be very productive is SEM/PPC. With PPC ads, you want to maximize the number of clicks by searchers who are in the market for what you offer. Not only do you want to persuade them to click on your ad when they see it on the Google search engine results page (SERP), you also want to keep their attention once they click it. Let's talk about strategies to boost PPC click through. So you've chosen your keywords, including your very important negative keywords, and you've purchased your PPC ads. Your ad is showing up regularly on the SERP. So what do you do to get it clicked on more often? First of all, put yourself in your potential customer's shoes. Understand him – his fears, dreams, buying motives, etc. very well. Put together a detailed customer persona. Reference it when you write any part of your copy or marketing content. And to get more clicks than your competitors on the Google SERP, have a bold, compelling, curiosity-generating headline that hints at some very strong benefits. Great headlines are a powerful way to capture attention. “…headlines are responsible for at least 73% of the success of any ad, be it online or offline”. He's such a believer in this idea that he will write as many as 250 sample headlines before he decides on one for a marketing message for himself or one of his clients. If strong headlines work for Ted Nicholas, who has sold almost $8 billion worth of products in his career, why shouldn't we use them in our online and offline marketing, including our PPC ads? Here's another tip for powerful PPC ads that get chosen when others get ignored: take the keyword(s) the searcher used, and place it in your PPC ad headline and body copy. They chose that keyword because they wanted something specific. If you will use the same keyword in your headline and copy, you will get their attention and be much more likely to persuade them to click through. Give your keyword even more persuasive power by placing it near the front of your headline and ad copy. Remember also that in your PPC ads the rules of solid copywriting apply. Congratulations! You've succeeding in getting the searcher to click on your ad. You have their attention. Now you need to keep it. So please don't make the conversion-killing mistake that some marketers make after investing heavily in PPC ads - don't send PPC clickthroughs to your website homepage! If you have a search that is targeted enough, you can go ahead and send them directly to your landing page. This is ideal. But at the very least send them to a product page on your website where each item on that page links directly to a targeted landing page. To illustrate, let's say you are in the retail plumbing tool business. You have a PPC ad that shows up on the SERP when searchers enter the term “crescent wrench” - with or without quotes. If they click your ad and you send them to your homepage, you are doing yourself a major disservice. You'll cost yourself a lot of sales. The searcher thought he had found what he was looking for. He clicked your ad hoping to find direct, targeted information about that very thing. But if you send him to your homepage instead of a targeted landing page, or at the very least a relevant product page that has links to relevant, targeted landing pages, a lot of his “conversion momentum” will be stopped dead in its tracks. The bottom line? Reduce “conversion friction” as much as you can. Make it absolutely as easy as possible for him to find what he's looking for and to buy it. Create PPC ads that arrest his attention and make him want to click on them instead of the others on the SERP. Once again: when he clicks on the ad, take him, if possible, to a highly targeted landing page for that specific item. At the very least, take him to a product page with that item and other items very similar to it. Do not take him to a product page with a bunch of items only loosely related, and DO NOT take him to your homepage. Let's further illustrate these points using our plumbing tools example again: if your searcher is looking for “12-in. adjustable crescent wrenches”, if possible take him directly to a landing page where he can make a buying decision on that specific item. If you are a tool retailer, most likely that won't work, because you'll probably have several different 12-in. adjustable crescent wrenches. In this case, when the reader clicks your ad, take him to a product page with only 12-in. adjustable crescent wrenches. Don't direct him to a page that has all kinds of wrenches and requires him to search out for the specific item he wants. 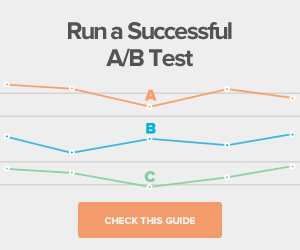 This is the kind of mistake that can cause your conversion rate to plummet. So what's the “end game” desired result of maximizing PPC clicks by interested searchers and sending them through any intermediate steps to point where you want them to make a buying decision? It's conversions. Your desired end result is conversions, as many conversions as possible. On this blog, we've often illustrated online marketing as a chain in which all of the links need to be strong. No link in your online marketing chain is more critical than your landing pages. They can make or break your conversion results, despite how strong the rest of your online marketing chain might be. It's important that you harness the power of great copywriting, relevant images and design, and a strong written offer on your landing pages. And in addition to all of these critical steps, why not give your online marketing an additional boost? 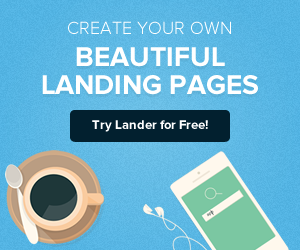 Instead of “just any” landing page software, why not do yourself a big favor and go with a state-of-the art landing page template from Lander? 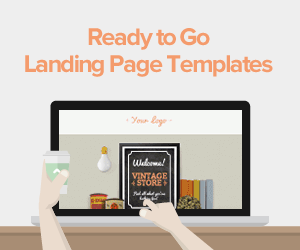 Forget about the headaches and hassles of trying to set up and manage a landing page “the old-fashioned” way. Lander is a snap to set up and a breeze to maintain. 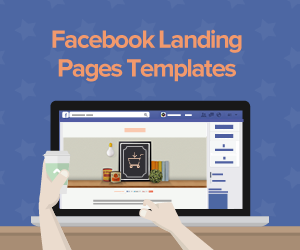 It's the easiest-to-use landing page platform in the Universe! What's our goal in giving you all these great features, and many more? To help you enjoy a higher conversion rate! And here's an addition bonus “feature” you just mike like the most when you decide to leverage the power of Lander for your online marketing: you can try any of our very reasonable rate plans free for 30 days.